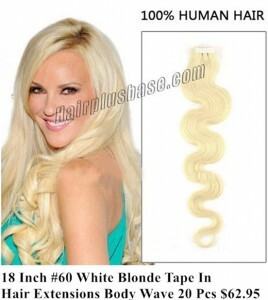 As the lightest blonde, #60 white blonde hair extensions and wigs are the preferable choice to many people. 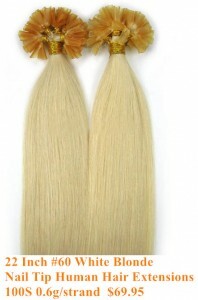 You can find or ask us to custom your #60 white blonde hair extensions or wigs at our website. 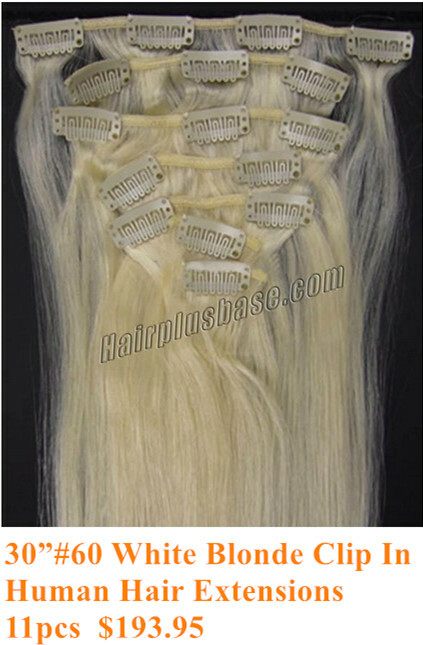 There are several most complimented kinds of #60 white blonde hair extensions. You can take them as reference. And even for the #60 white blonde nail tip human hair extensions 100s, you can request to custom them into 1g/strand, though the cost will be a little more than the 0.6g/strand. 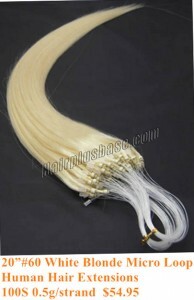 The same to the #60 white blonde micro loop human hair extensions 100s. There have been so many customers enjoying those hair’s use and nice. Why don’t you? Beautiful experience with them is the best guarantee for you. Let’s see. High quality of information. You must have spent much time on it. Come on!